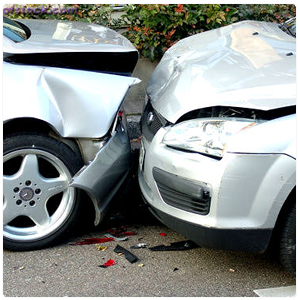 In America on average, there are over 50 million car accidents a year. Unfortunately, our reality is that car accidents do happen and our statistics for getting in our own accidents grow more and more every day. Car accidents can range in severity. From a minor accident to some so severe that death occurs. No matter how severe of an accident you are in, an automobile accident can be physically, mentally and financially draining. If you are injured in an accident, consider visiting a vehicle accident physical therapist here at Advanced Medical of Twin Cities. At Advanced Medical of Twin Cities, our goal here is to always help our patients achieve the greatest level of recovery possible. Every patient that walks through our doors has a different injury and different body. Therefore, no two patients are ever treated the same. Before we begin any type of treatment, our vehicle accident physical therapist will do a thorough examination in hopes of discovering the root of your pain and physical ailments. Through both medical and chiropractic care, we will help to holistically achieve the best results possible. Advanced Medical of Twin Cities is a space that consistently works together to create the greatest outcomes for our patients. As part of recovery, we believe that a licensed vehicle accident physical therapist is a great way to aid in your healing. Our physical therapist will find your areas of damaged tissue and give you a realistic, individualized plan that discusses your treatment options at length. We focus on your goals, on recovery time and on individualized exercises that are going to yield you the greatest results. From complex whiplash to other muscles and ligaments, we are here to help you heal and return to your prior level of functioning. Advanced Medical of Twin Cities is a state-of-the-art health facility that allows you to address your vehicle accident ailments all in one setting with a team of medical professionals that put your needs first. Our goal is to provide you with the highest quality of healthcare in a comfortable, friendly setting. We believe that everyone deserves an opportunity for fantastic healthcare. We will work with your insurance company to provide proper financial means so that you can be treated with quality, efficient care. For more information about Advanced Medical of Twin Cities and our vehicle accident physical therapist, call us today at 763-541-1280.